William Mordaunt Dwyer (1870-1948) – Temple Lodge, No.33, Duncan, B.C. 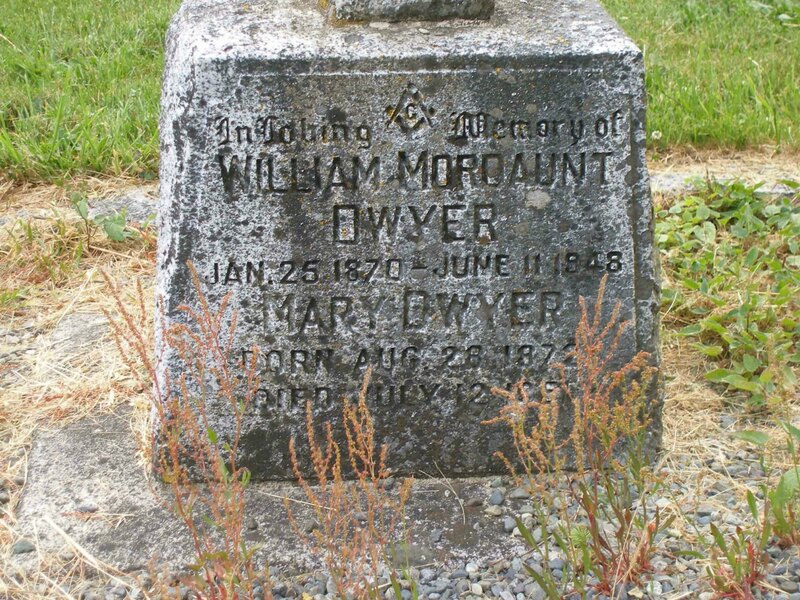 William Mordaunt Dwyer (1870-1948) was born in Ennis, County Clare, Ireland and came to the Cowichan Valley in 1884. His family owned a farm of approximately 480 acres along what is now Gibbins Road. William Mordaunt Dwyer was Initiated in Temple Lodge, No.33 in 1903. He served as Junior Warden in 1908-1909, Senior Warden in 1910 and Worshipful Master of Temple Lodge, No.33 in 1911. His term as Worshipful Master saw the planning for construction of the Duncan Masonic Temple, built in 1912. 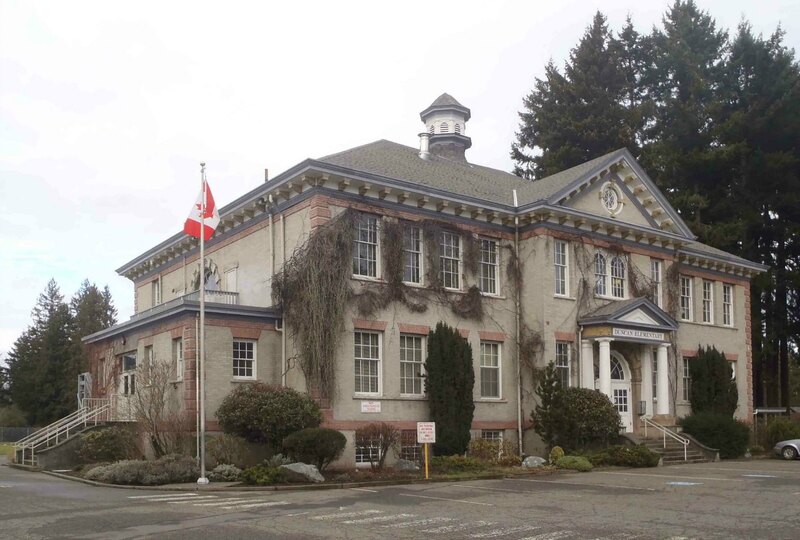 William Dwyer was a charter member of the Duncan Board of Trade (now the Chamber of Commerce) and was active in the Cowichan Historical Society, where he strongly advocated creation of a museum to preserve historical artifacts and records of the area. He also served on the school board, serving as Chairman in 1912 when he oversaw the construction of the Duncan Elementary School in 1913. William Dwyer was a strong advocate of consolidating the then separate school boards of Duncan and the Cowichan Valley into one board. This consolidation took place in 1919 and William M. Dwyer served on the consolidated school board for many years, serving as Chairman in 1920. Duncan Elementary School, built in 1913. William Mordaunt Dwyer was Chairman of the School Board when Duncan Elementary was built in 1913. “Dwyer – Duncan district lost a beloved old timer on Friday morning in the death at his home on Gibbins Road of Mr. William Mordaunt Dwyer, aged 78, after a lingering illness. The Dwyer family originally owned 480 acres of land stretching from the Gibbins Road area west to near the old John Evans property, and during a lifetime of 65 years in B.C., Mr. Dwyer, surviving one of three sons of the late Canon Philip Dwyer, who had come from Ireland in 1883, contributed in various ways to the life of the community of Cowichan, his home during the greater part of that period. A lad of 13 when the family left Ireland, Mr. ‘Billie’ Dwyer grew up with many of the institutions of the district but he never lost the incisive and irrepressible humour of the land of his forebearers. Attractive personal qualities won him a host of friends and acquaintances in all walks of life, while his public offices brought him into contact with many more. Born on January 25, 1870, at Ennis, County Clare, he received his early education in Ireland and on coming to Victoria attended collegiate school there, with Mr. W.L. B. Young, a former well-known Cowichan businessman, as a classmate. His father was then attached to Christ Church Cathedral. Mr. Dwyer first came to Duncan about 1884. “There seemed to be more butter, field crops and grain then than now,” he told a Leader representative in recent years. Butter was shipped by the late W.H. Elkington from Maple Bay to Victoria by boat, the popular means of travel then, and Mr. Dwyer recalled the friction between rival shipping companies on the route, with the fare to Victoria being reduced as low as 25 cents during a rate war. Mr. Dwyer was a member of early survey parties at numerous points in the Province, among them being Clayquot, Salmon River of Sayward District, the whole of the surveys in the acquisition of the Chemainus mill interests of E & N timber lands in the 90s; Lillooet road, Chilcotin country, Okanagan country. Mr. Dwyer saw much of the country by horse and canoe and remarked that the freedom of the life found a great appeal among the young men of the land. Subsequently Mr. Dwyer was associated with copper mining on Mt. Sicker and served the Tyee Copper Company from `start to finish“, first as hoisting engineer. He ran the first steam engine on the mountain, represented the company on the construction of its aerial tramway to what is now Strafford`s Crossing railway siding; and when it was finished undertook the management of it and handled it for five years – a story in itself`- Mr. Dwyer was accustomed to saying. Mr. Dwyer returned to the mountain many years later, during World War II, when the Federal Government became interested in developing mine deposits there. Following Mt. 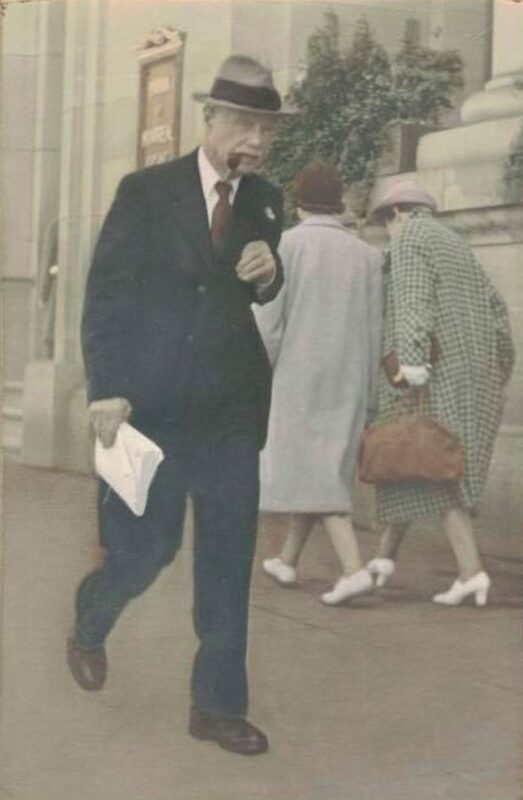 Sicker`s early days, Mr. Dwyer operated a men`s wear store in the `young Duncan` for a number of years, but his partner going to England “Ì closed up. “ The store was located midway on the south side of Station Street in the block nearest the station. Mr. Dwyer then worked for the former Cowichan Merchants for many years. About 15 years ago he became electoral polling officer for the district, a position he retained till his death, handling three Dominion and two Provincial elections here, as well as handling national registration during the war. 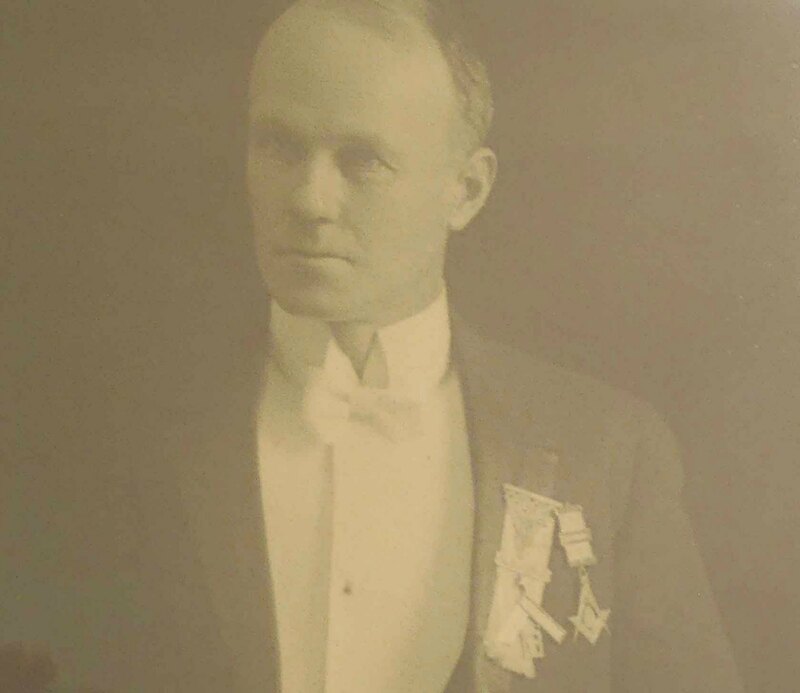 Mr. Dwyer was chairman of the first Duncan school board in 1912 and, working hard in the interests of school consolidation, was chairman of Duncan-North Cowichan consolidated district formed in 1919 and sat on the board for many years. The present elementary brick building was erected during his regime at a cost of about $30,000. 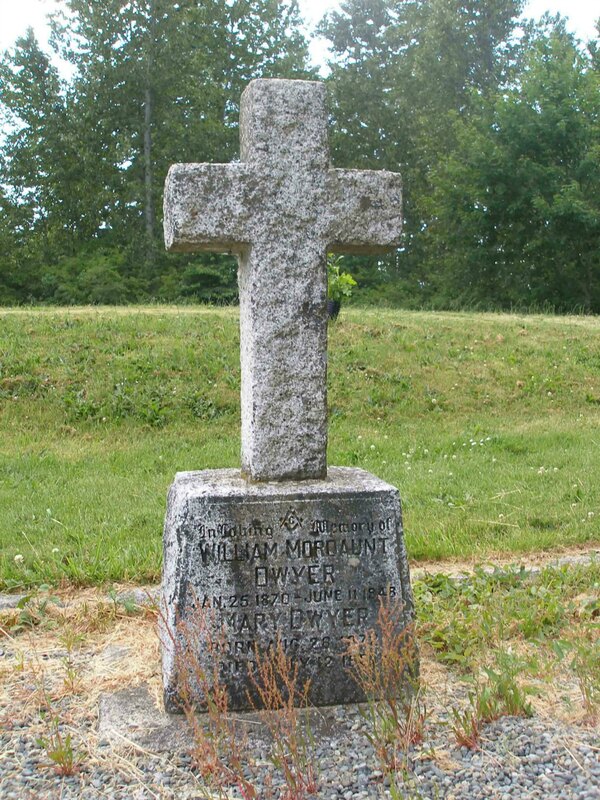 William Mordaunt Dwyer is buried in St. Peter’s Quamichan Anglican cemetery, North Cowichan.